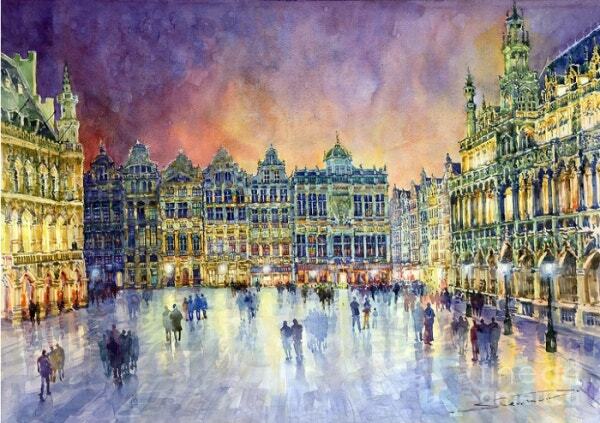 Watercolor Paintings are considered to be one of the oldest forms of art. 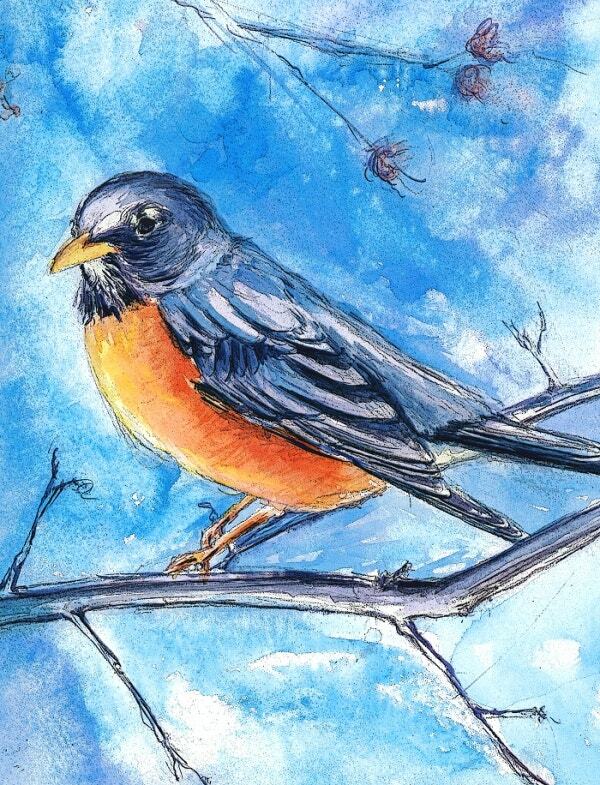 Artists create beautiful watercolor painting using water soluble pigments. Even though it’s an old art, but still in modern days, it has maintained its value and class. 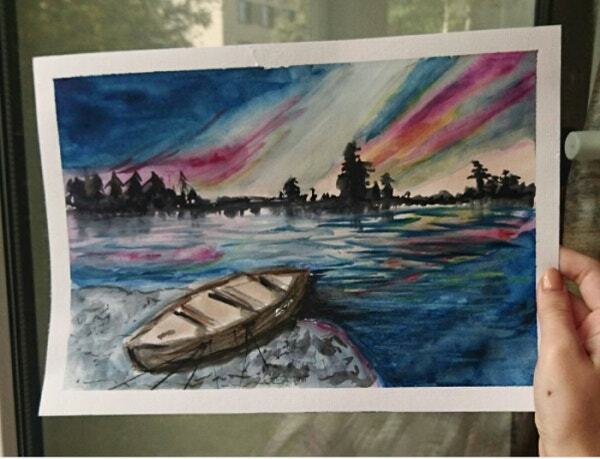 Artists use watercolor as a medium to express their feelings, emotions and dreams on a simple piece of paper. Watercolor artwork looks very simple and easy but still, it requires the right skills which transform a simple paper into a masterpiece. You can also see Swimming Pool Paintings. 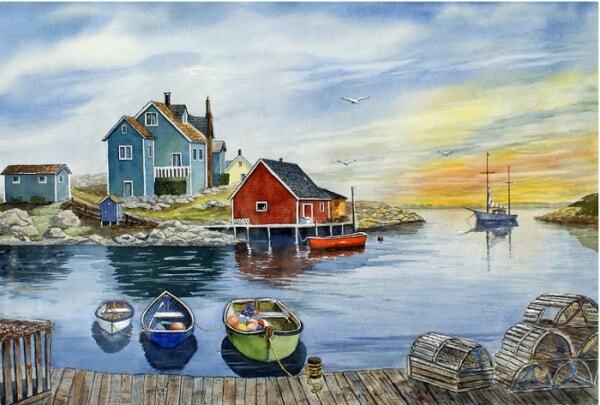 Peggy Cove Watercolor Painting is one of the finest pieces of artwork by the famous artist Raymond Edmonds. This piece of artwork is enjoyed and easily understood as it depicts the subject matter in a realistic and traditional style. 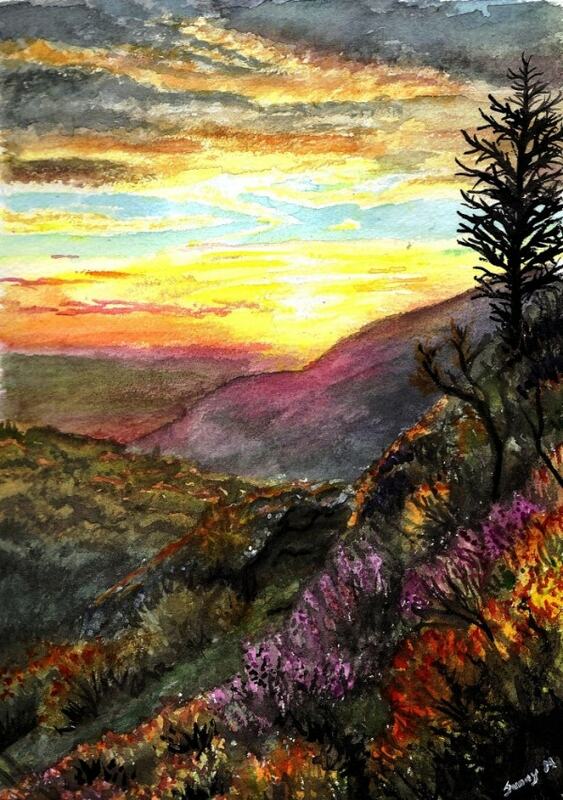 Viewers are often drawn back to an emotion of serenity and peacefulness when they view such arts. 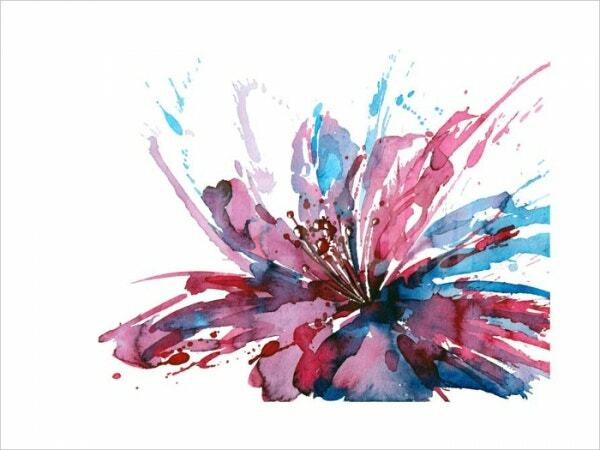 Watercolor Blooming Flowers Painting is yet another classic example of what can be achieved through the watercolor technique. 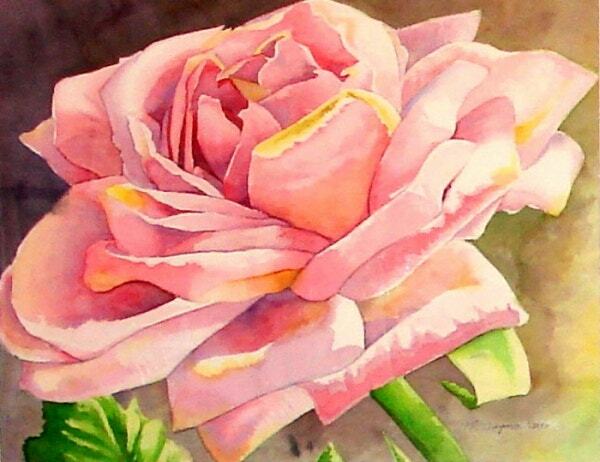 Here the artist has beautifully captured one of nature’s most beautiful creations – flowers, through his creativity. The artist seems to have focused more on expression, rather than on detailing in this artwork. 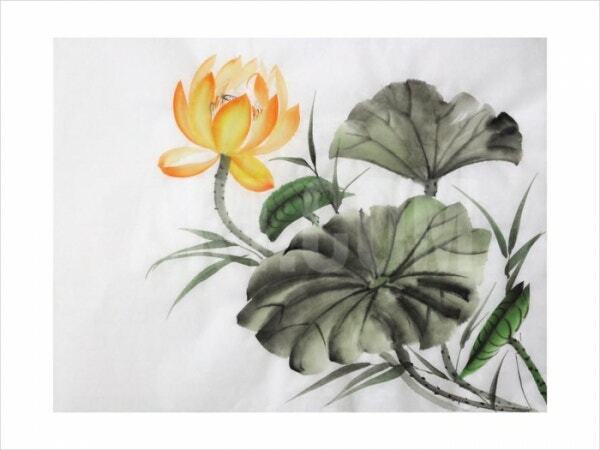 The use of different colors and the overall freshness in this artwork can captivate the viewers. 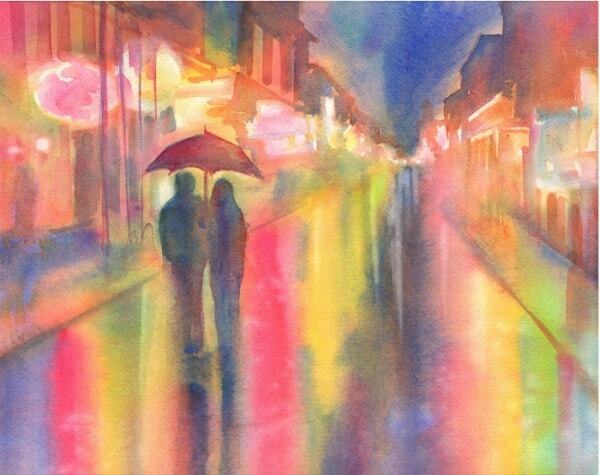 Rainy Night Watercolor Painting is created by the self-taught watercolorist Yevgenia Watts. The artist has used mainly large, round brushes and an excess of water and paint to craft this mesmerizing piece of art that is so expressive, fresh and vibrant. He has captured the mood of a rainy evening beautifully. 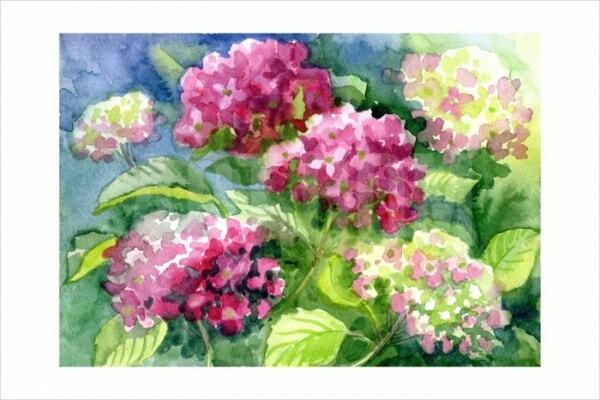 Watercolorists around the world are known for their rich style and technique in this tough medium. 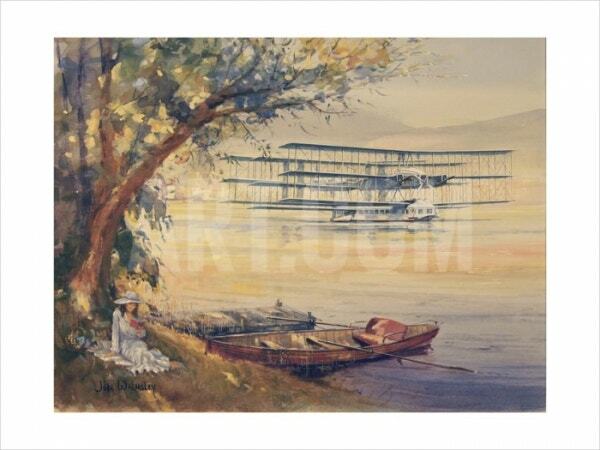 The watercolorists often get intimidated by the scenic views of countrysides and many painters over the years have attempted at craft many artworks on the same. 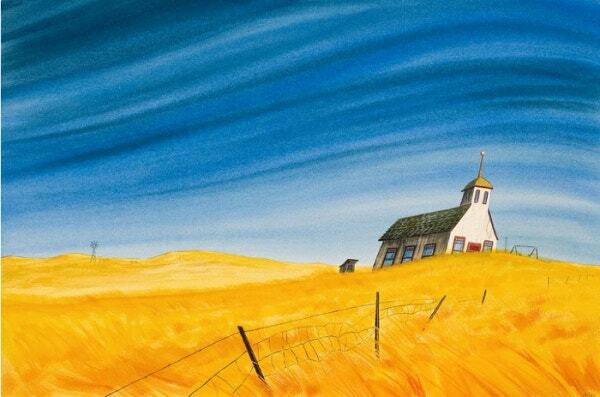 Here in the above painting, the artist has captured a very beautiful scene of a countryside. 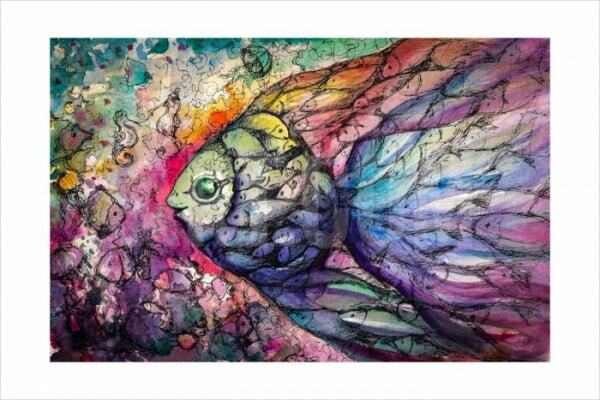 Through this Watercolor Fish Painting, the artist has shown his unmatched creativity. 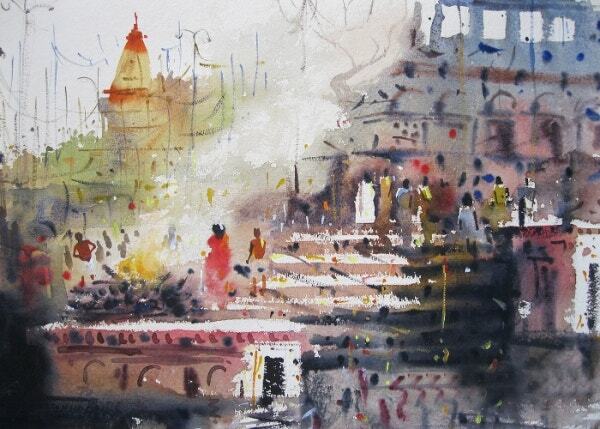 Most often, watercolorists opt for subjects which can be studied by being there physically. They observe the view and try to replicate that through their magic. But here the painter has created an imaginary drawing of a fish. Although it is an imaginary painting, the artist has made it look very realistic. 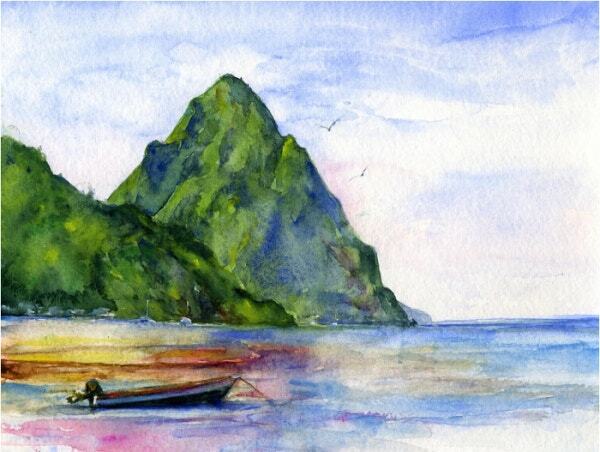 Watercolor Beach Painting is a masterpiece painted by artist John D Benson. The artist is famous for his portrait paintings, but here in this above painting, he has showcased what a great craftsman he is when it comes to painting with watercolor. Here, he has depicted the peacefulness of the sea through his artwork. 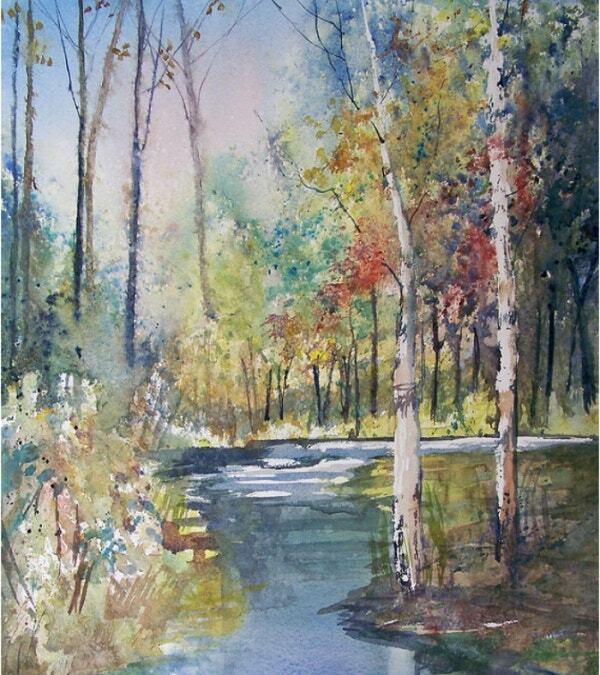 Painting water using watercolor is often a tough task for many. It requires a lot of practice and skills to paint realistic river painting. The flow of water, as well as the reflection pattern need to be painted with great care. 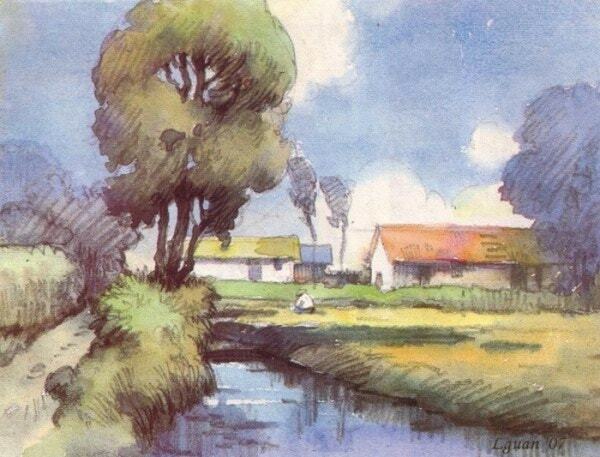 Here in the above artwork, the artist seems to have mastered the art of painting rivers using watercolor. The use of vibrant colors, the reflection of the sky on the river and the boat which seems to be going against the tide, give this painting a fantastic look. 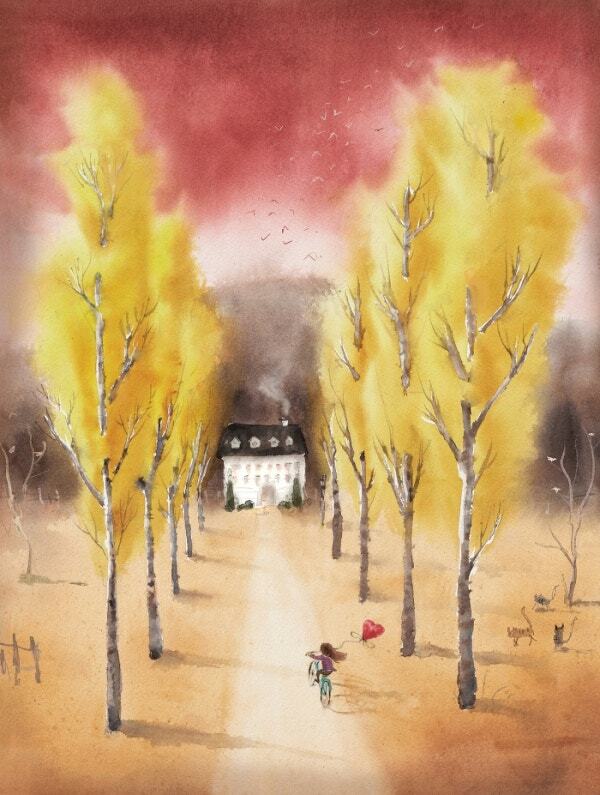 We believe that watercolor art is a very powerful way to express one’s feelings. 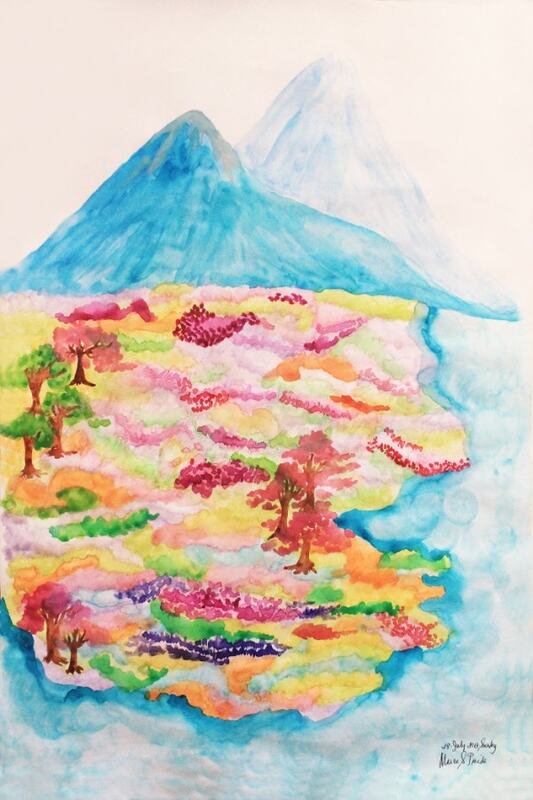 Watercolors can be effectively used to represent the artistic vision on a piece of paper. 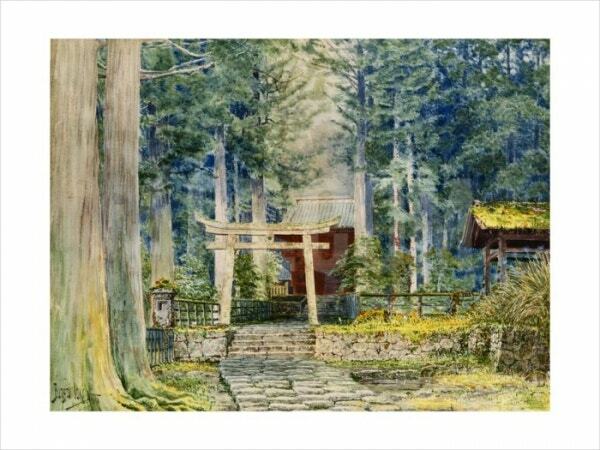 Though there are other forms of art available, the spectacle that watercolor paintings present, is unlike any other. You can also see 3D Art Designs & Paintings.